Actors: Please prepare two one-minute monologues. One should be comic and one should be dramatic. One should also be Shakespearean (or from that general time period) and one should be contemporary. So if you were to prepare one of Beatrice's monologues from Much Ado About Nothing, you should contrast that with a contemporary piece that is more dramatic. Vocalists: If you are interested in musical theatre, please prepare two contrasting one-minute excerpts (verse and chorus) from an up-tempo song and a ballad. Directors: Submit your production notebook, if you have prepared one for a past production. Designers: Scenic and lighting designers should submit a portfolio of work, including any scenic or costume renderings, designs, actual light plots, and production photos. *All submitted materials will be returned. **Students are not required to audition to be accepted into the Theatre Arts major.  However, scholarships may be offered to especially talented students who audition before enrolling at Gordon. To schedule your audition, please contact the department chair. If you cannot visit campus to audition, please send a DVD with videos of your one-minute auditions and/or directing/design portfolio to the Theatre Arts department. Do I have to be a Theatre Arts major to audition for Gordon productions? No! Auditions are open to all Gordon students, regardless of major. Will I have time to participate in theatre productions and finish all my other coursework? Theatre Arts majors certainly have to be diligent to maintain balance between the demands of productions and regular coursework, but this discipline is a valuable lifelong asset. To make this balance easier, the department schedules nearly all rehearsals and performances in the evenings, after classes end. What kind of feedback do you offer to Theatre Arts majors? Aside from critiques during classes, rehearsals, and performances, each student meets with Theatre Arts faculty for an end-of-year evaluation. During this session, we review each student's progress and potential, and we help guide students to where we see their strengths and gifts leading them. We also use this opportunity to encourage students to consider other paths if they do not seem to have the motivation or ability to continue in theatre. Are there work opportunities in the department? What shows are you planning for the coming year? Can I see a show during my visit to campus? If you are a prospective student and would like to be our guest at one of our productions, please contact our department chair. He would be happy to give you and a guest complimentary tickets. Simply send an email at least one week in advance to norman.jones@gordon.edu.